Ruby Red glass seed beads on silver safety pins. Stretchy jewelry cord fits average wrist size. 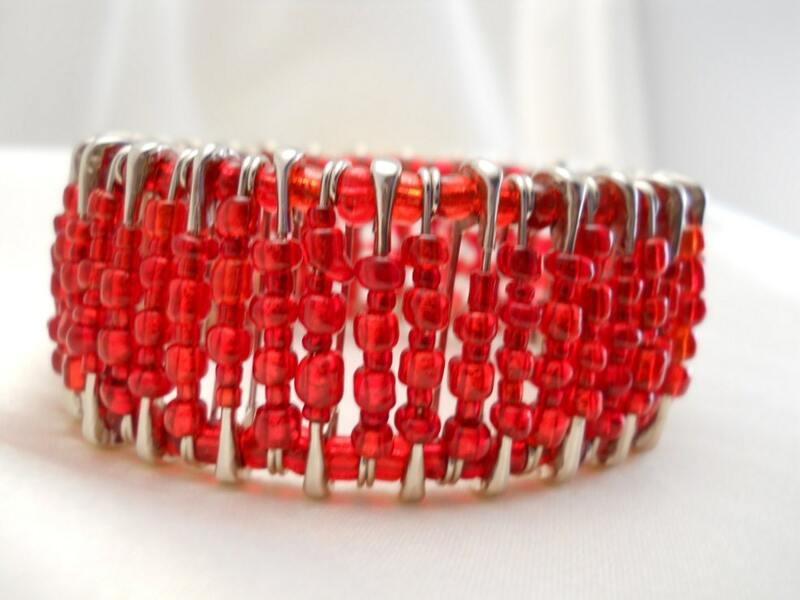 Can be crafted for smaller or larger wrist size.